Residents in multiple East Cleveland and neighborhoods on the East Side are filled with anger and frustration over thieves who have stolen the sandstone front steps off of dozens of classic homes. 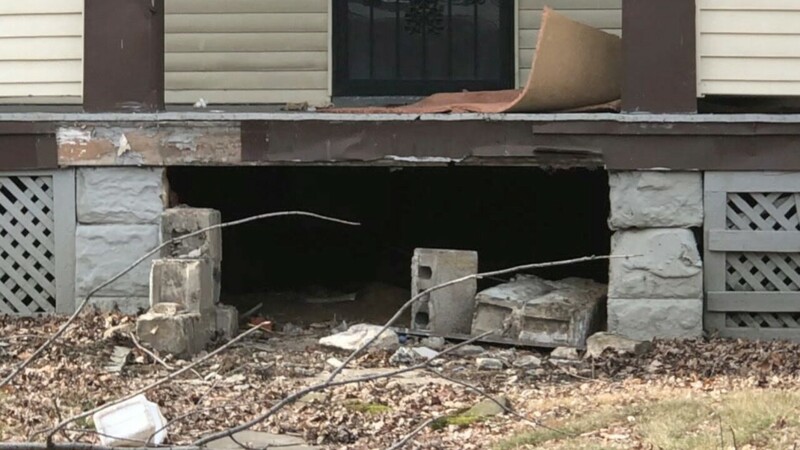 Juanita Gowdy told News 5 she is surrounded by more than a dozen homes in her Rosalind Avenue neighborhood that have been victimized by the sandstone bandits in recent months. Gowdy said the thefts are further destroying already distressed homes that could still be renovated and saved. “This is very shocking for somebody to actually come here and steal steps, it’s just awful, it’s devastating,” Gowdy said.